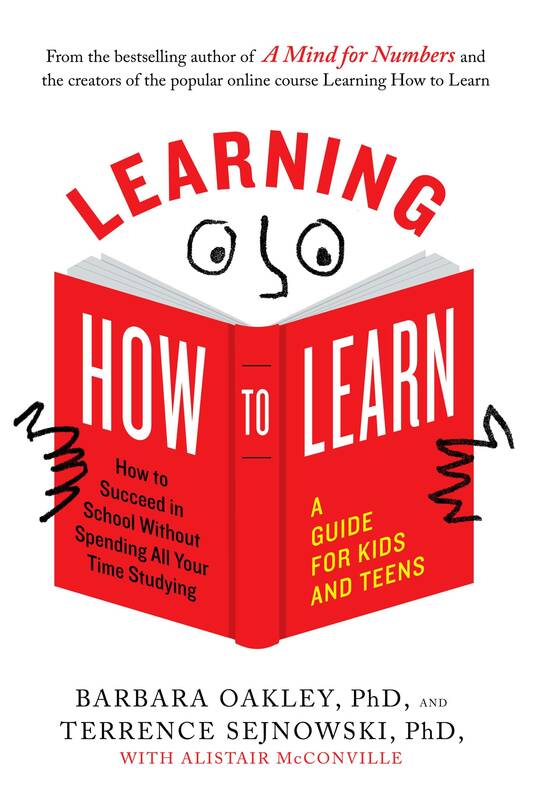 Excerpted from "LEARNING HOW TO LEARN: How to Succeed in School Without Spending All Your Time Studying" by Barbara Oakley, PhD, and Terrence Sejnowski, PhD, with Alistair McConville, published by TarcherPerigee, an imprint of Penguin Publishing Group, a division of Penguin Random House, LLC. Copyright (c) 2018 by Barbara Oakley and Terrence Sejnowski. I’LL DO IT LATER, HONEST! Back in the 1800s, murderers used to love a chemical called arsenic. (It’s pronounced “ARE-suh-nick,” and sounds like “parsnip.”) Arsenic poisoned and killed victims in a day. Painfully. In 1875 two men ate arsenic in front of an audience. People expected them to die. But to everyone’s surprise, they returned the next day, alive and well. How was that possible? How can something so harmful appear to do no damage? We’ll tell you later how the story of the arsenic eaters ended, but . . . spoiler alert: It didn’t end well for them. Arsenic is bad for us, but tomatoes are good, right? They are full of healthy nutrients. I’m going to show you how even a plastic tomato can be good for you. It can help you learn better. Sound crazy? All will soon become clear. But don’t eat any plastic tomatoes. That’s not the trick . . . I want to tell you about procrastination. (It’s pronounced “pro-KRAS-ti-NAY-shun.” The last part rhymes with “nation.”) Procrastination means putting things off until later. It is a problem for many students (and adults!) and gets in the way of good learning. Procrastination can be a natural thing to do. Why would you do something you don’t feel like doing? Especially if you know it’s going to be hard? Why study on Monday when the test is not until Friday? Won’t you forget it by then any way? Here’s the problem. If you procrastinate, you often run out of time. As you will learn later, time and practice work together to help you cement new ideas into your brain. If you run out of time, you not only can’t build learning structures, you also spend energy worrying about it. That’s a lose-lose situation. Procrastination is the enemy of high-quality learning. But many students still do it. I want to show you how to beat it. Here’s the good news. Your inner zombies are going to help you learn. Now don’t freak out. I don’t mean you have real zombies inside your skull. That would be gross. But it’s nice to imagine an army of tiny zombies up there, working hard for you. You want to make friends with them. So, we need a pinball machine, a headful of friendly zombies, and a plastic tomato? Who knew? Stay with me . . . I’m a professor! Do you groan when your mom or dad tells you to clean, or practice an instrument, or start your homework? This is because when you think about opening that book, or cleaning up, it actually hurts— researchers can see an area of the brain that experiences pain, the insular cortex, begin to light up. To your brain, thinking about cleaning your room feels like the start of a stomachache. But here’s what’s interesting. Once you get started on the task you didn’t want to do, the pain goes away after about twenty minutes. The insular cortex calms down when you start the task you were avoiding. It’s happy that you’re finally getting on with the job. So this is my number one top tip to become a good learner. Just get going. Don’t put work off until later. Easy for the professor to say, you’re thinking. How can I change my habits? I’m so used to them. The answer is . . . a tomato! Has she gone crazy? you ask. How can a tomato make me a better learner? In the 1980s Francesco Cirillo came up with a way to help procrastinators. It’s called the Pomodoro Technique. First, you need a timer. The tomato-shaped timer is great, but any timer will do. I have a digital timer on my computer. Many people use Pomodoro apps on their smartphones or iPads. 1. Shut off all distractions—your phone, the TV, your music, your brother. Anything that gets in the way of your ability to focus. Find a quiet place to work where you won’t be interrupted. If you can afford them, consider noise-canceling earphones or cheaper but just-as-effective earmuffs or earplugs. 3. Get going, and focus on the task as well as you can. Twenty-five minutes is not long. You can do it! 4. Now for the best part. After 25 minutes, reward yourself. Watch a dance video or listen to your favorite song. (Maybe dance to it yourself!) Cuddle with your dog. Or chat with friends for five or ten minutes or so. The reward is the most important part of the whole Pomodoro process. When you’re looking forward to a reward, your brain helps you focus better. When you “do a Pomodoro” forget about finishing the task. Don’t say, “I’m going to finish all my homework during this Pomodoro.” You might finish whatever you’re working on. But don’t worry about it if you don’t. Just work as hard as you can for 25 minutes. When the timer goes off, take a break. Dip into your diffuse mode with that reward. You may need to do another Pomodoro later, but that’s okay. You’re doing the right thing just by working hard on the task. Don’t worry about how much you do. You will finish. But leave yourself plenty of time. Don’t wait until the last minute. When I do a Pomodoro, my thoughts sometimes wander off. That’s perfectly normal. As soon as I catch my thoughts wandering, I just bring them back to the task. It’s only 25 minutes, after all. Anyone can do 25 minutes of studying. If I find my thoughts wandering to other tasks I want to do, or websites I want to check, I make a note on a piece of paper so I won’t forget, and then I continue with the Pomodoro. I’ll admit that if I want to keep working after the time is up, I go ahead. Getting into the flow, where I’m really into doing the task, is a good thing. But when I stop, I always reward myself. It’s diffuse mode time! If I’ve been writing (like this book), I listen to a favorite song. Or I get up and make a cup of tea and look out the window. I don’t write during my break. That way, the “writing” part of my brain gets a rest. It’s a good idea to do something during your break that’s very different from what you have been focusing on. You want to give a rest to the area of your brain that’s been doing the focusing. If you’ve been sitting while you study, breaks where you move your body around are often the best. 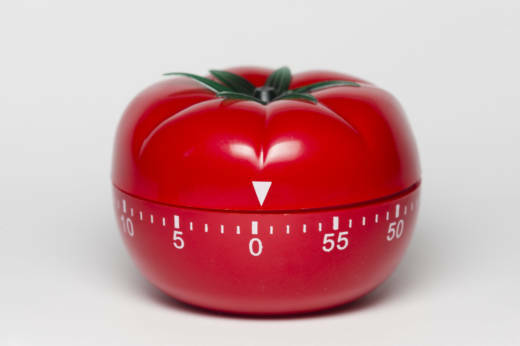 Some people like Pomodoro timers that make a ticking sound. This reminds them that time is passing and they are getting closer to their break. The ticking keeps them focused. By the way, don’t switch between tasks when you’re doing your Pomodoro. Pick a task and work at it until the bell rings. (Of course, if you finish a task during a Pomodoro, you can start another.) Some students think they can do several tasks at once, or switch back and forth between several tasks at once. This is called multitasking. But the idea of multitasking is a mistake. Your focus can only be on one thing at a time. When you switch your attention, you waste mental energy, and you will perform worse. It’s like a pinball machine where two balls have been released instead of one, and you have to crazily try to manage both the balls. You inevitably fail and both balls drop. This takes me back to zombies. Sometimes they have a bad reputation. People think of them as monsters—scary-looking creatures who are under the control of something or someone else. What do all zombies have in common? They work automatically toward their goal (which generally involves eating brains). Nothing distracts them. They never give up. It’s like they’re on autopilot. We all have a zombie mode—fortunately, it usually doesn’t involve eating weird substances, like with real zombies. We do things automatically because we’ve done them so many times before. What are your zombie mode habits? Throwing your shoes down as you come in from school? Falling into a favorite chair in front of the TV? Or reaching for your phone as soon as it vibrates? No thinking. No discussion. That’s you in zombie mode. Imagine being as focused as a helpful zombie on your studies during the time you’re supposed to be studying. Practicing the Pomodoro Technique will help you get there. But you need to defeat your bad zombie habits on the way. Studying and texting in the same time frame is a bad habit. It’s your bad “study while texting” zombie. To defeat it, you can instead train a helpful zombie—get used to turning your phone off, silencing it, or leaving it in another room. The new good zombie can allow you to overcome the bad one! If your brother interrupts you, train your helpful inner zombie to tell your brother you’re “doing a Pomodoro.” Ask your brother to stay away until you’ve finished. If you know you get hungry, have a snack before you do a Pomodoro. Instead of mindlessly jumping into a new chapter of your textbook, first do a picture walk, and then take notes on the paper that your good zombie mode has thoughtfully placed beside you. 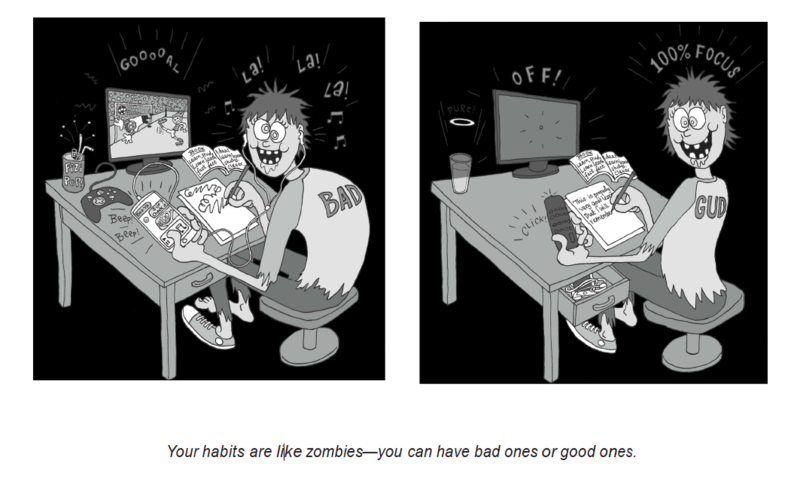 Replace your bad zombie habits with ones you know will make things better for you. Remember the arsenic eaters? How did they eat arsenic and not die on the spot? And what does eating a deadly poison have to do with something as seemingly harmless as putting things off— procrastination? The arsenic eaters ate a little bit of poison each day. They trained their bodies to expect it. They were building up an immunity. They thought they were getting away with it because they didn’t feel ill. They didn’t realize it, but they were gradually poisoning themselves. A little bit of arsenic won’t kill you right away. But it’s very unhealthy. Over time it does serious damage—cancer and other damage to your internal organs. Don’t eat arsenic! How is this like procrastination? It doesn’t seem like it hurts if you put off your studies a little longer. Or spend another “few minutes” on social media. But if you get used to procrastinating, it will make learning harder, because you will have less time when you do buckle down to learn. You’ll get stressed, miss deadlines, and not learn things properly. You can get really behind. All this will make you a less effective student. Remember, you can build an army of helpful zombies up there, working hard for you if you make short periods of focused concentration into a habit. So learn to love that plastic tomato! Or the Pomodoro app on your phone. Barbara Oakley is a professor of engineering at Oakland University in Rochester, Michigan, and Ramón y Cajal Distinguished Scholar of Global Digital Learning at McMaster University. Dr. Oakley teaches two massive open online courses (MOOCs), “Learning How to Learn” (the world’s most popular course) and “Mindshift” alongside legendary neuroscientist Terrence Sejnowski.